This ca. 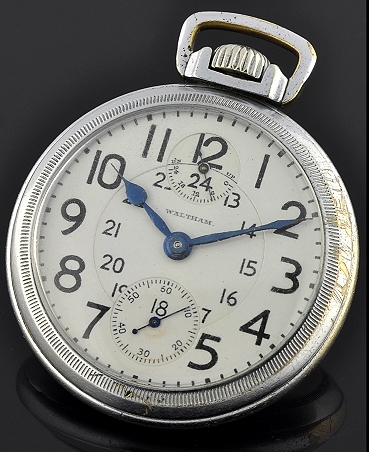 1915 WALTHAM CRESCENT with up/down indicator measures the amount of power reserve remaining in the mainspring. The 42mm. case is nickel silver. The original porcelain dial with up/down indicator is without a flaw and retains the original blued steel spade hands. I do like the bold, deco style numerals and 24 hour register. The very fine 21 jewel movement was just cleaned and is accurate. 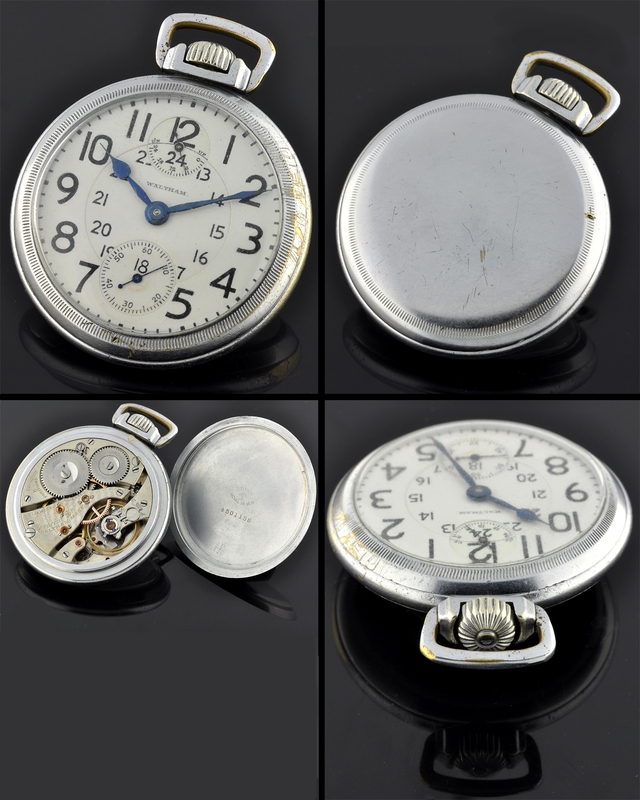 These up/down indicator pocket watches are highly sought after. $1795.